Fiber Tuesday is usually my favorite day of the month when I get to meet up with my creative fiber friends. This month it was tinged with sadness. We were saying farewell to the Wool Shed. What is the Wool Shed? 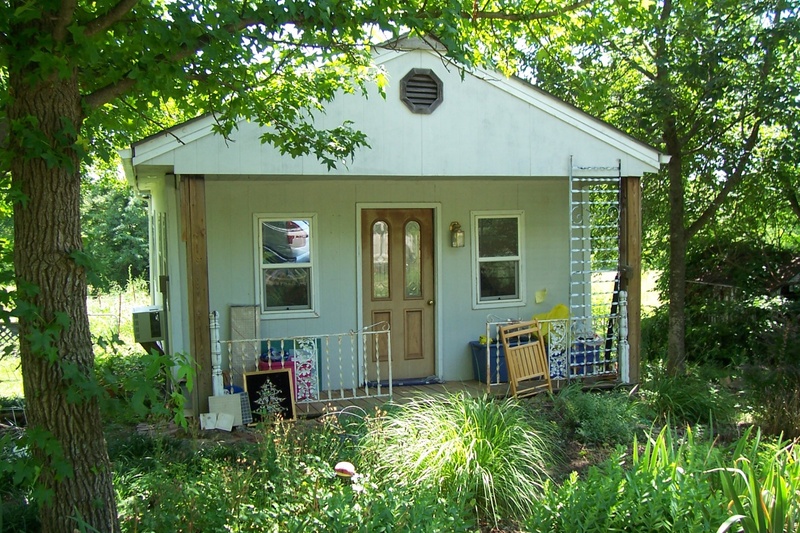 It is my friend Carol Ann’s studio which her husband built for her. Carol Ann is first and foremost a felter who creates beautiful hats. She also makes crazy things like an iguana and panda. These were on display at the felting exhibitions at the Overland Park Arboretum. 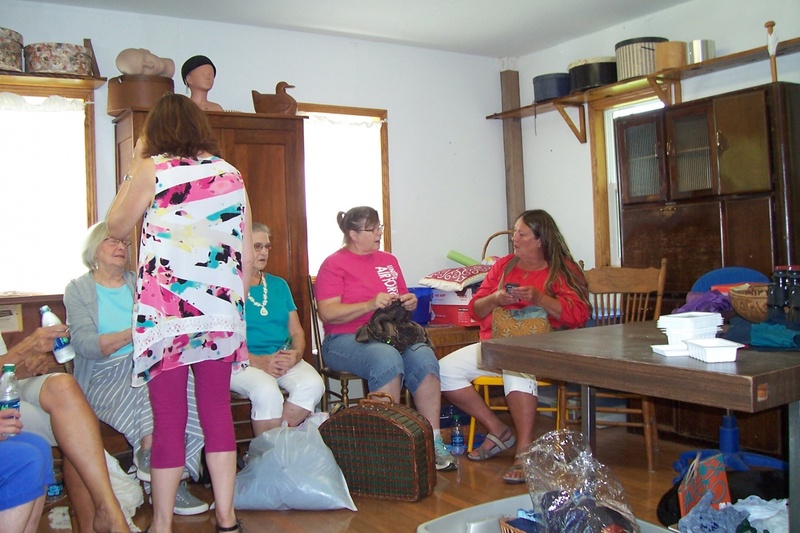 I had my first spinning and felting lessons in the Wool Shed and have spent many enjoyable hours there on Fiber Tuesday visits. Carol Ann and her husband have decided to give up their piece of paradise in the country and move to a retirement community near Kansas City because of health issues. Fortunately it is only the Wool Shed that we have to bid farewell! We did give it a special goodbye. 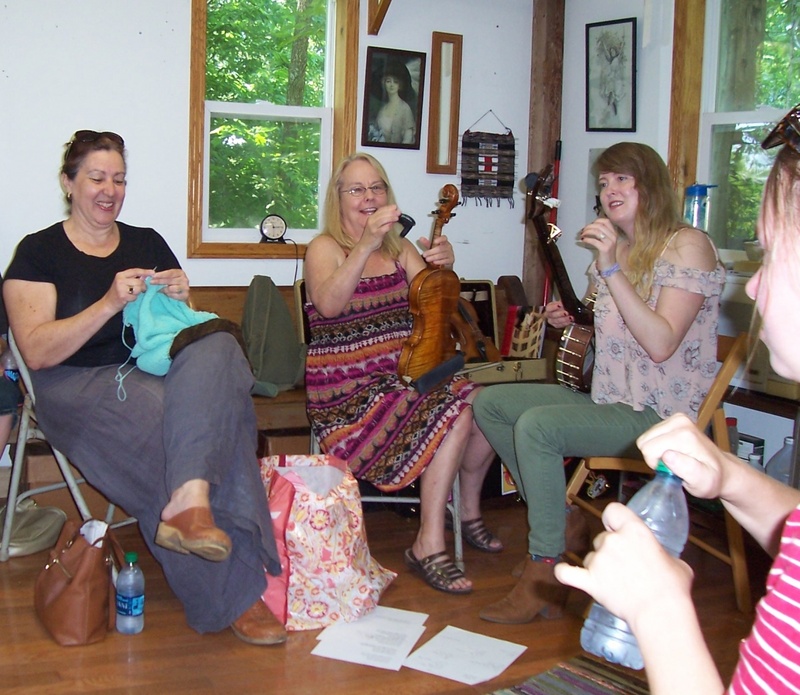 One of the most talented fiber artists in the group also plays the violin and sings traditional songs from Appalachia. She and her daughter entertained us as the knitting and spinning went on. As always I am amazed at the creative talent that exists in the Fiber Tuesday group and am so pleased to be a part of it.